Apparently, Punxsutawney Phil is being 'overshadowed' by this huge blizzard / ice storm across the Midwest and Northeast. There was nothing about it in our local news this morning so I had to do a little research to find the GREAT news! 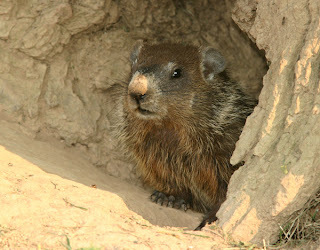 Punxsutawney Phil predicted an early spring!